Whenever i start to lift for mpre distance and to look more fit, my swing always leaves me. I guess its because my muscles arent used to feeling that way, but i hit tons of bad shots during the times i lift. I strecth alot, and follow a good routine, but the nasty swings always come. Does your swing change when you lift, or do you only lift in the winter months when you can't play? I try coupling it with stretches so to keep the muscles supple. Scotty Cameron GoLo S 34"
I do somewhat heavy lifting. I try to Max out in all my lifts for a while, then I go to high rep low weight, then I go back to maxing out. Takes me about 20 mins to complete upper body. As for lower body, I do squats same routine as upper. I naturally am core strong. I have had somewhat of a six pack for as long as I can remember so I can't really comment on core exercises. My shoulders are also about 4" wider than the average person's at 6' 1" which really helps in the swing but I can't help you with that. My weak spot is the lower back, I fell on my head in 5th grade from about 15' and lost 2 inches in height due to my spine swaying inwards more than normal. I do streches for that. The best thing i have found is do small weights with high reps aswell as lots of cardio work. Swimming is a great way to build your upper body witout putting yourself through weight training. Other things that i have found work are rowing machines where you can change the resistance and getting those little pink and purple weights that only weigh a couple of kilo and take them on the treadmill with you and just run with them in your hand. The most important thing to remember is not to do the same work out 2 days in a row, always give your muscles atleast 24 to 36 hours rest. If you were really serious i would go get a personal trainer and get him to give you a program to do. Simmo, i cudnt have said it any better, thats exactly what i did, i went over to my Gym and talked to the trainers and now i have an extremely dreative personal trainer who has helped me build a program, we built a weight training program, cardio, and nutrition. It very sound and solid. i am starting my new program this week. Goose has got it right. Low weight and high reps. Go for the power effect and you'll be sorry when you get on the course; your muscles get all tight and it becomes difficult to feel your swing. Definitely stretch often using those stretchy rubber band things and do lots of cardio. Try to balance the golf and wroking out, as someone mentioned, and never work out the day before a big match or tourney. Yer goose did the right thing, i just got my new program this week because i injured my back he gave me heaps of exercises to do so my back dosnt get tight during my round. Most gym's should give a free program for any member if not just go ask a trainer and they will proberly give you one in exchange for you buying there lunch or something like that. If you can get a friend to come with you aswell so you can keep each other motivated becuase the gym can get lonely when your buy your self. I know my reasons for working out is not for distance. I am quite long already...not that any additional distance would hurt but i am doing it for my health, stamina, future. 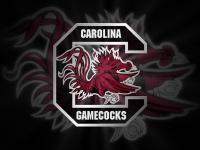 My goal is to earn a college golf scholarship at the D1 level. You can never hurt yourself by being in better shape. AS LONG AS YOU DO IT PROPERLY!!!!! just as i am working with a trainer and monitoring youself. Working out isnt just about distance becuase if you are in top physical condition your core muscles are usually stronger which will give you better balance aswell as more accurate shots. Being fit will also help your mental game cause as soon as your body gets tired your mind will start to wonder and you wont be able to concentrate as well. EXACTLY!!!!!!! MIND AND BODY MY FRIEND MIND AND BODY!!!!! 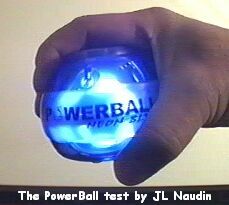 i dont do weights but ive got a powerball which works nice. Got it for £17.99 off play.com but imsure youd be able to get it somewhere in us. It is a gyroscope thing which works all the muscles in your arms. And i do like stretches before every round. In moderation is fine, but streaching is the key. I lift 3-4 times a week focusing mainly on the abs, back and legs. I also do about 30 minutes of cardio on each of those days. Like others have said high reps and low weight is the way to go, especially with any upper body lifting. I found that I not only have added distance since I started lifting, but it has also helped me with hitting balls out of the rough. I was just lifting weights and doing crunches. Low weight high reps. Will that mess me up tomorrow golfing? It will be around 14 hours by tomorrow. Enough or no? If you are lifting weights to get stronger than the low wieght high rep theory is pointless. People say that they do low weight high reps because they dont want to get "too big" when in reality they probably couldnt get too big from lifting even if they try. I lift because I need to gain weight. I am 5'9 and weigh about 125 pounds. (Went up from 115 over the winter because of lifting weights). People like me need to gain weight to inrcease driving length. Even super skinny Charles Howell III is still way heavier than me. Need to keep working hard. There are two ways that fitness helps your golf swing. The first is to have core strength, which positively effects your balance and your ability to put the clubhead on the ball. The second is to have muscular speed--fitness of the fast-twitch muscle fiber. If you just workout for muscle strength through slow-speed workouts (standard lifts, etc), you can actually make yourself stronger and slower. However you can workout for speed as well strength and gain swing speed. You do this by working swing specific muscles at high speed--i.e. speeds that are higher than your golf swing. Some golfers are born with higher amounts of fast twitch muscles. this is how very slight guys like CHIII can hit the ball a mile. He has other articles on the junior golfer training on the site. Read them!! I am a trainer and there is a lot of false info out there, including this post. GolfFreak1 hit the nail on the head. You're wasting you time with low eight, high reps. Golf is a power sport, train like an athlete, that's what you ar.